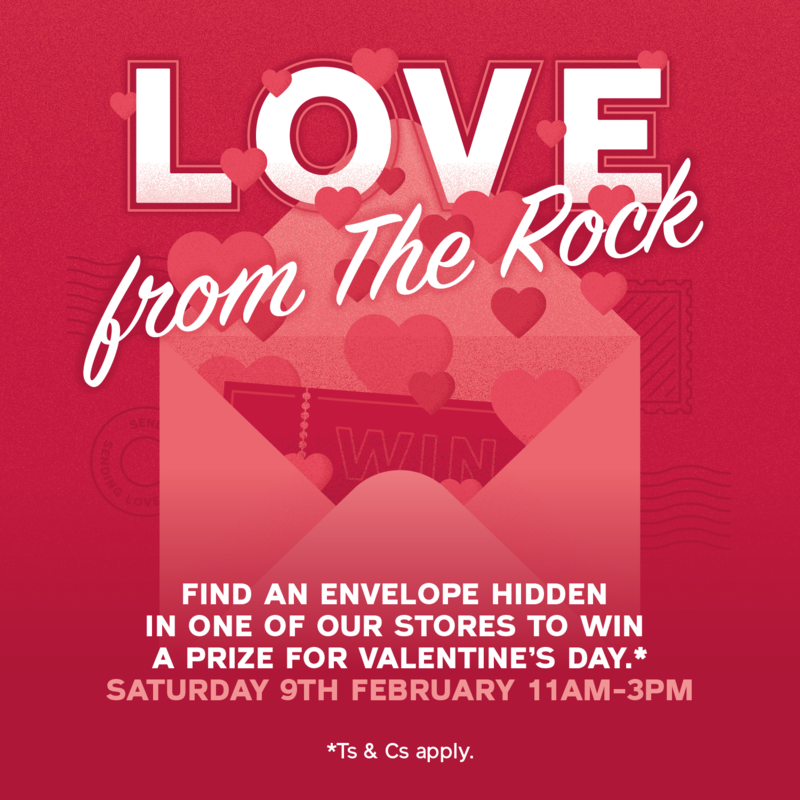 Shoppers visiting The Rock will be able to get their hands on prizes hidden in stores as we spread the love this Valentine’s. On Saturday 9th February there will be 50 golden envelopes hidden in shops, restaurants and leisure units as part of our ‘Love from The Rock’ Valentine’s Day campaign. Visitors who find a golden envelope will win a voucher for the store they found it in. Full terms and conditions apply and there is only one prize per person. We have teamed up with Tower FM to run the activity, which will take place from 11am until 3pm. (Or until all vouchers are collected). The treasure hunters must take their golden envelope to the Tower FM street team to claim their prize and register their details. Arnold Wilcox-Wood, Centre Director at The Rock, said: “We wanted to share the love this February and give something back to our visitors who are out shopping to buy something special ahead of Valentine’s Day on February 14th. We hope this will encourage visitors to have some fun on their visit with the chance of winning a store voucher. There’s 50 vouchers around the centre so we’ll be able to put a smile on 50 people’s faces! To find out more and read the terms and conditions click here.